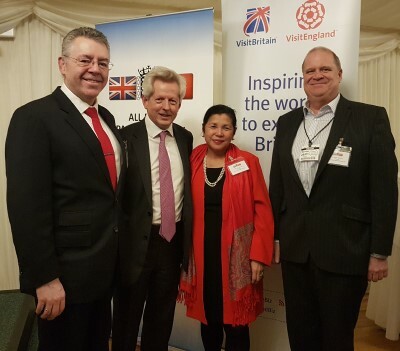 David Stringer-Lamarre, MD of FortisCL, within his role as Chairman of the Institute of Directors (IoD), London Region, was pleased to attend the Chinese New Year celebration event of the All Party Parliamentary China Group within the House of Commons. A welcome address was delivered by the Rt Hon Richard Graham, Chairman of the All Party Parliamentary China Group. The Rt Hon Jeremy Hunt spoke about the importance of the UK engaging with international markets and notably China. His Excellency Liu Xiaoming, Ambassador of China noted the strong relationship between China and the UK and the opportunity to harvest ‘golden fruits’.